Recently my "status" on Facebook was a line from a poem by Mary Oliver...."When it's over, I want to say; all my life/I was a bride married to amazement". Today I am amazed at where life will grow! 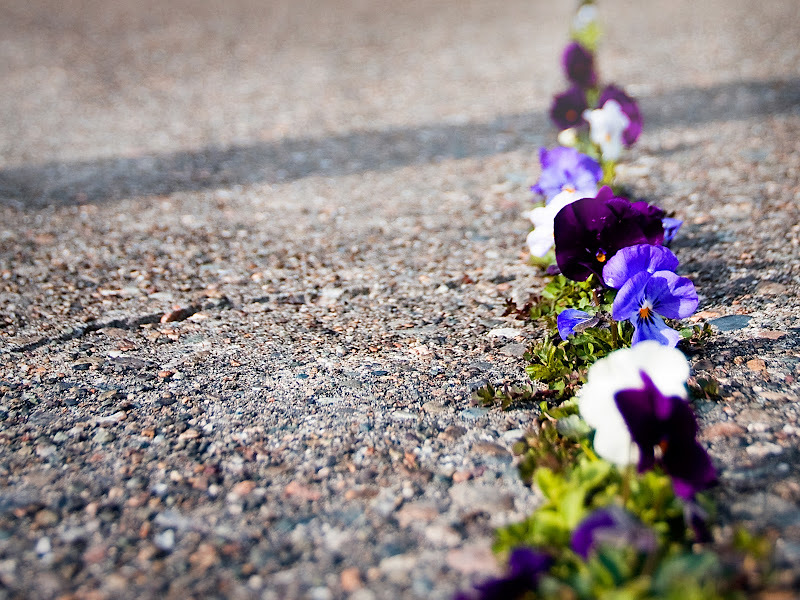 How is it that plants and flowers will grow in the cement cracks of sidewalks and streets? How is it that beauty springs up in places of great hardship? Why does life appear in the most hostile of places and predicaments? That amazes me!! It also makes me look at the tough issues in my life in a new light. Now instead of just the "rocks", I am keeping an eye out for signs of life! i LOVE this pic! another beautiful one, tara!